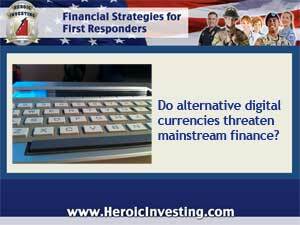 How Long Can Alternative Currencies Survive? Led by the Bitcoin, digital alternative currencies continue to quietly make inroads into the consumer economy worldwide. But the very qualities that keep these “cryptocrurrnecies” circulating may also make them the target of government and corporate efforts to shut them down – a possibility that could strangle what many see as the only truly democratic currency on the planet. Alternative currencies are called “cryptocurrnecies” because they’re mathematically generated using software that runs series of mathematical operations. They can be instantly downloaded, stored or transmitted anywhere in the world. Fees for transactions involving Bitcoins or any of the other alternative currencies – Litecoins, Feathercoins, Namecoins, or Novacoins, to name a few — are usually nonexistent or at most a few pennies. Digital currencies can be used to pay for just about anything that two parties agree on. Though the US leads the list of total alt-currency users, with China a close second, they’re especially popular in countries with unstable currencies or economic chaos. For those users, digital money represents a safe way to conduct business that doesn’t rely in government issued currency. A number of organizations especially charities, have also turned to the Bitcoin and other alternative currencies for donations as a way to bypass regulations and reporting. And because transactions are virtually instantaneous and nearly free, they bypass the usual processing delays required by credit card companies and even electronic intermediaries like PayPal. Those very features are causing supporters to worry. Digital currencies, they say, are the last bastion of real capitalism and unregulated financial freedom. There’s no central issuing authority and no regulation in the world of cryptocurrencies. Every aspect of the way the currency functions is determined by its network of users, and transactions are virtually anonymous. . No central authority is in charge, and even the creation of new coins comes from running a complex series of computer calculations, not a government printing press. For all those reasons, cryptocurrencies are able to evade government regulation and oversight. But that could change, as government and corporate entities begin to see them as viable competition – real money, rather than just a novelty – and try to shut them down entirely. And in the US, the government has already intervened once, as the FBI shut down the illegal drug site Silk Road and confiscated a store of the Bitcoins used for anonymous transactions on the site.